Alaska has long been a mecca for the adventurous in spirit. 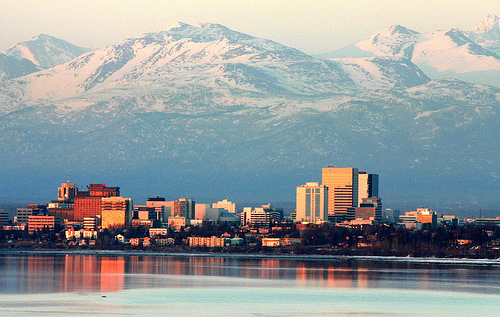 Anchorage, Alaska was founded in 1914 as the headquarters of the Alaska Railroad. More than fifty years later, in 1959, the United States territory of Alaska officially became a state. Alaska has seen the railroads come, the excitement of the gold rush and the growth of cities in previously untamed lands. Its wild spaces, incredible history, and free spirit call to the heart. When coming to Anchorage, pay a visit to the Anchorage Log Cabin Information Center. Here, visitors and new residents can pick up walking tour maps, ask questions and learn about many of Anchorage’s hidden treasures. 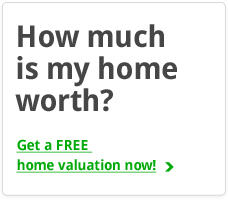 It’s a hard place to miss, with a gigantic jade boulder weighing over two-and-a-half tons sitting just outside it’s front door. For those interested in the history of the Anchorage area there are many captivating locations sure to satisfy the curiosity. Crow Creek Mine showcases original historic buildings which illustrate frontier life during the gold rush. It also whets the adventurer’s spirit by allowing guests to search for gold in the original mine. The Alaska Statehood Monument, which features President Eisenhower, marks the 1959 admission of Alaska to the United States. This monument overlooks the Alaska Railroad, where the city of Anchorage was founded in the early 1900s. Another famous historical stop is the Oscar Anderson House Museum. This was home to one of the first residents of Anchorage, Oscar Anderson. Located in downtown Anchorage, it was the first wood-frame home built in the city. Alaska has incredible wilderness like unlike any other in the United States. Residents and visitors thoroughly enjoy this unique landscape year-round with a variety of outdoor activities. In the summer, many enjoy the more than 100 miles of trails for walking, jogging and biking. Camping in one of the many parks is a popular summer past-time. Fishing and boating in Anchorage are amazing. With some of the most pristine waters in the world, and fish such as salmon, halibut, trout and pike biting it’s hard to resist! The beautiful Alaska Botanical Garden offers an oasis in the city. Walking trails, many native plant species and bird watching make this tranquil retreat a must see. Tours and lectures are also available in the gardens. During the winter, residents don’t just retreat indoors. Dog sledding, skiing, ice skating, snowboarding and watching the northern lights are just a few of the popular winter-time activities in Anchorage. Anchorage is designed with large swaths of natural land winding throughout the city. This means that even when immersed in nature, visitors and residents are never far from Anchorage’s urban conveniences. Museums such as the Two Spirits Gallery and the Alaska Native Heritage Center give visitors a taste of art and culture. Shopping, dining and entertainment options are conveniently located throughout the city. Anchorage even has an active night life with clubs, dancing, and live bands. Anchorage, Alaska is a place like no other!